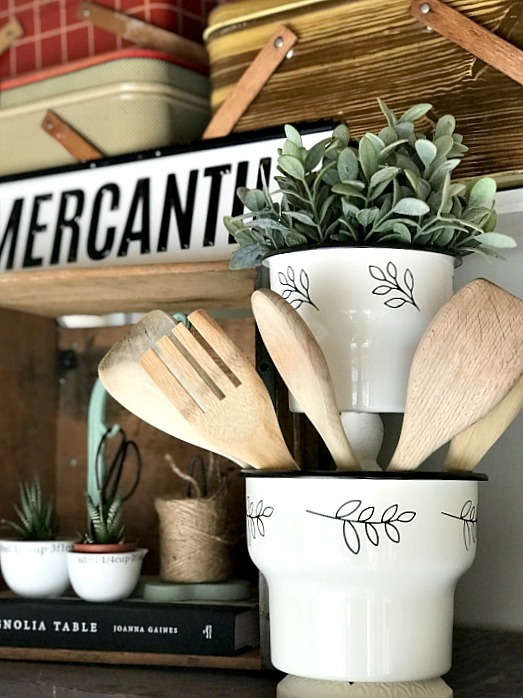 I just discovered these beautiful enamelware planters at IKEA and you know what that means! A new repurposed project is on the way! 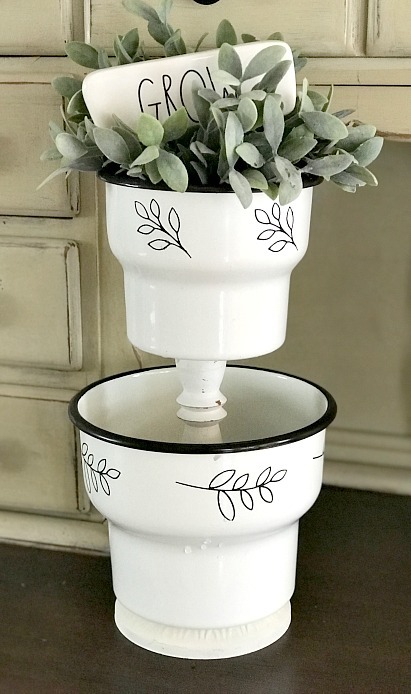 These planters are a warm white with a black rim and made of metal that resembles vintage enamelware. They have them in 2 sizes and they're called CITRONSYRA. I grabbed one small (4") and one large (6") and headed home excited to make something fun! 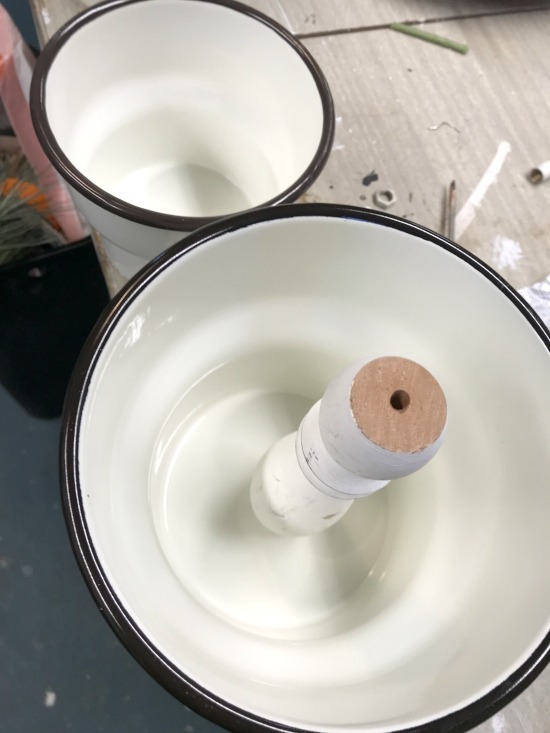 First I drilled a hole in the bottom of each pot. I used painter's tape to mark off the center then drilled through the tape so the enamel wouldn't chip. 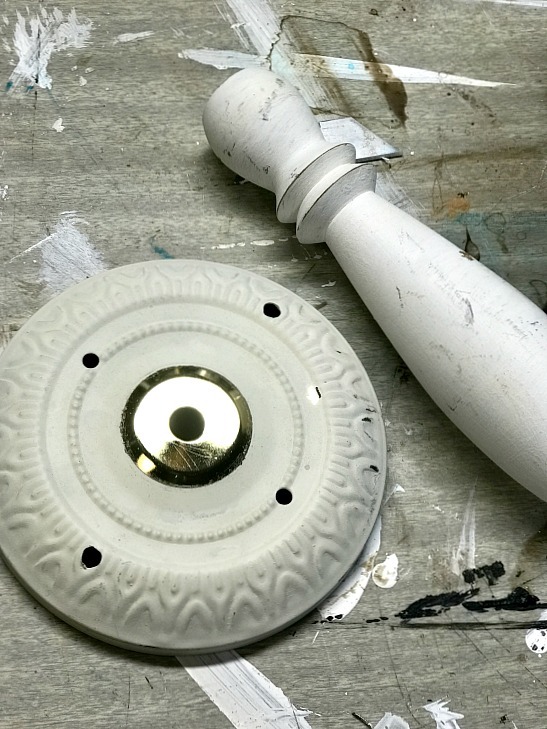 I gathered a few more supplies for this project, a lamp base, and an old wooden white candlestick. I cut the candlestick to the size I needed then drilled a hole in the top and bottom. When you click on the blue Amazon affiliate links you will be taken to the products I use for this project. There is no additional cost to you and Homeroad receives a few cents to help me bring these projects to you! 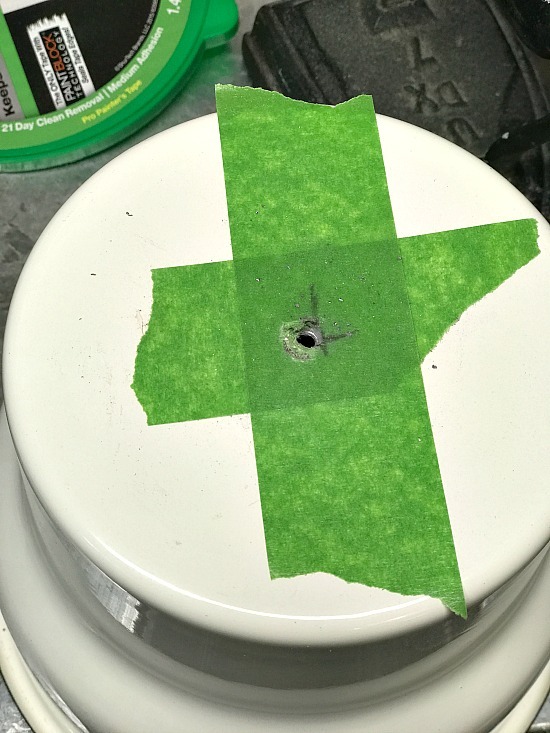 I used E6000 glue to help attach the lamp base to the bottom of the large pot then ran a screw through the lamp base, through the pot, and into the candlestick. 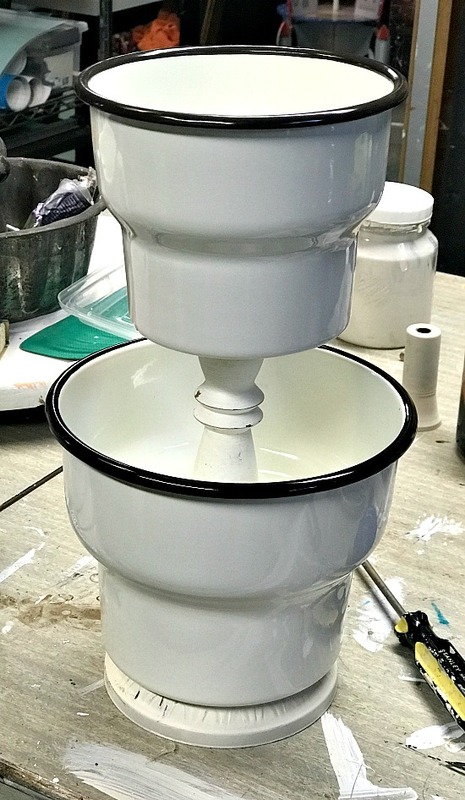 I used more E6000 glue and another screw to attach the smaller pot to the top of the candlestick then let it dry. 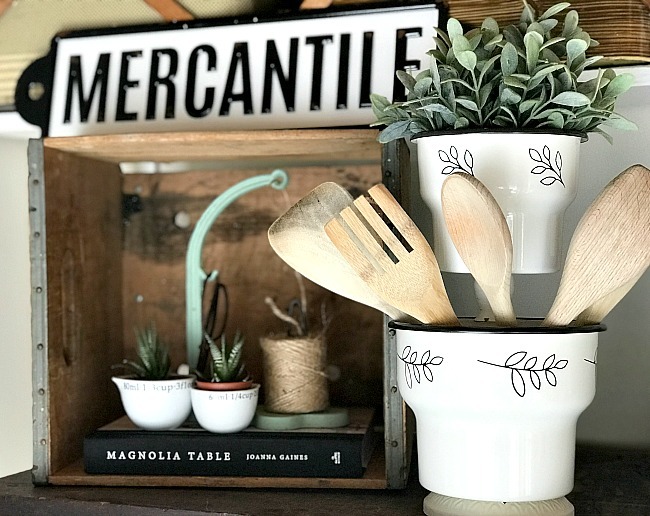 I wanted to decorate the pots so I am using the Chalk Couture stencil kit I purchased recently. If you missed it, I used this stencil on an Upcycled Wooden Bowl. The stencils are so easy to use, they work like silk screen. 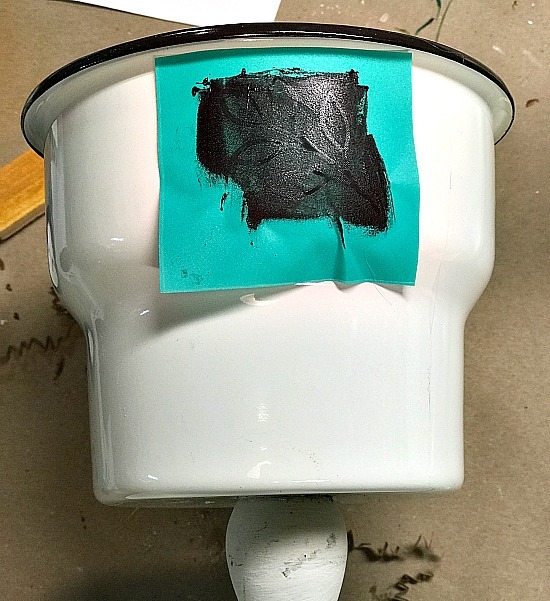 The black paint is actually chalking paste, when the stenciling is finished it gets sprayed with a clear sealer to make it permanent. I added the Chalk Couture to the top and bottom pots, it gave it a beautiful vintage look. I filled the top of the planter with faux greens but it could just as easily hold real plants. 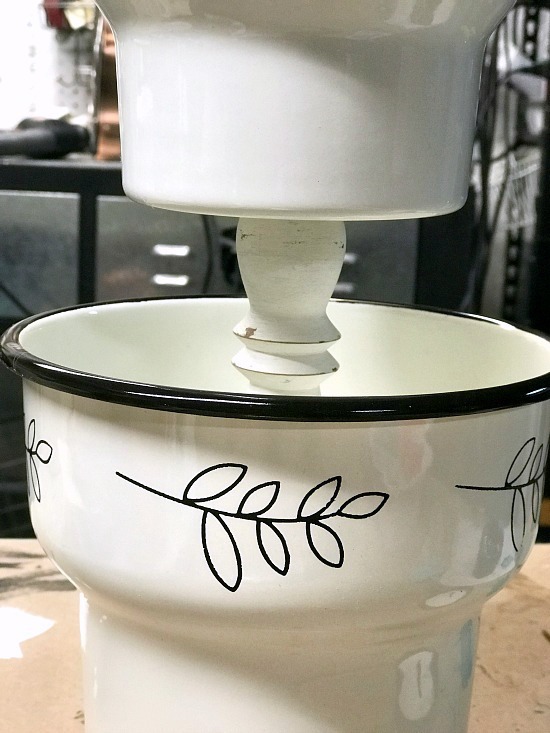 This enamelware pedestal dish would also work well for kitchen items in a farmhouse kitchen. 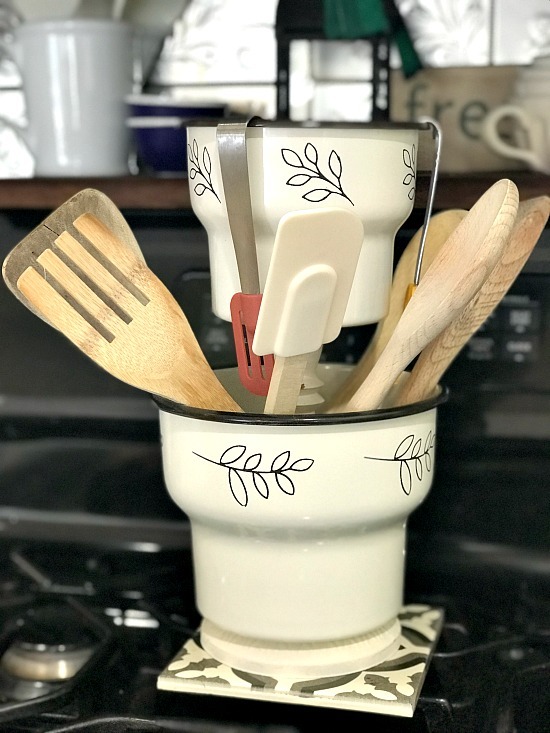 I'm super glad I picked up these adorable IKEA enamelware pots, they were right up my alley and became a beautiful repurposed project! so my latest DIY project can be sent straight to you! I really wish we had an Ikea . I would SO copy this. Pinned! The one we have is about 30 minutes away... not too convenient but I do try to go often. Gorgeous. I love this...I saw these Ikea and now I'm having regret that I didn't pick them up. Let's go shop!! Oh my Goodness, is this cute or what?? I will have to make a road trip to Ikea! I so want to do this. Such a great idea. Pinned it also! !